Fasten your seat belt for a non-stop ride that will take you up, up and away! 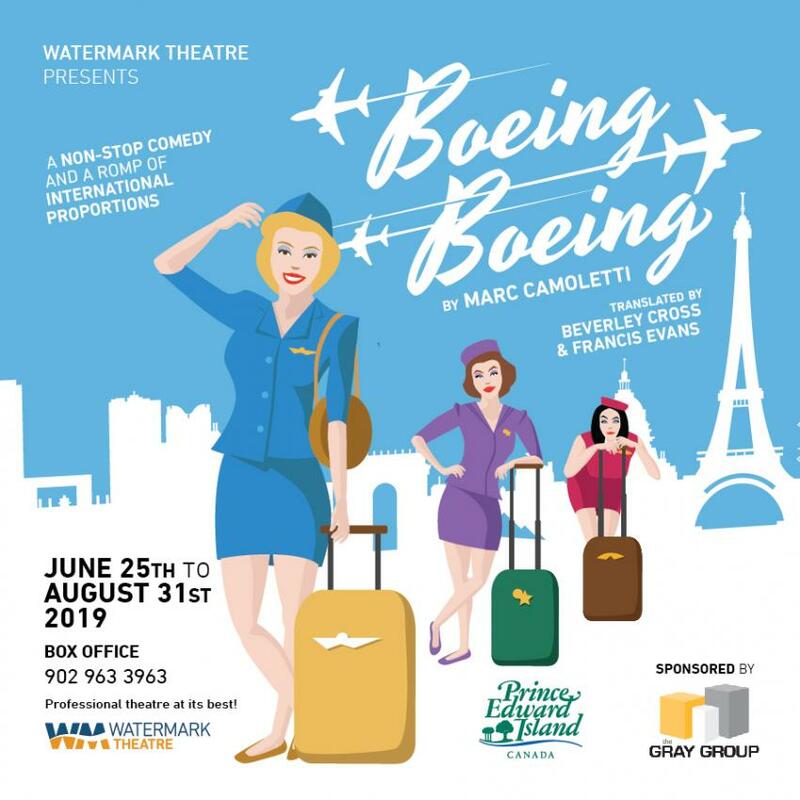 Boeing Boeing is a riotous farce about a successful architect named Bernard who is juggling three flight attendant fiancées – an American, an Italian and a German. Unexpected schedule changes bring all three to Paris, and Bernard’s apartment, at the same time. Bernard, his maid, and his visiting friend Robert must navigate the hilarious turbulence ahead. A non-stop comedy and a romp of international proportions.